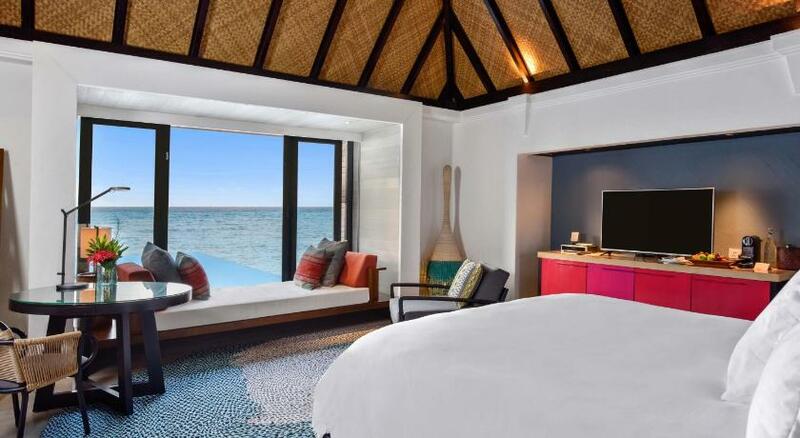 With the charm and seclusion of the Maldives' village interwoven with style and sophistication, Four Seasons Resort on the island of Kuda Huraa is a nice luxury escape for families and couples alike in the Maldives. Just a short boat ride from Male airport, this idyllic resort offers luxury accommodation, superb amenities, a fantastic range of activities, and of course the unrivaled Four Seasons service. Own surfing school, 2 huge landscaped swimming pools (including children's), a water sports center and a fitness room, there is plenty for recreation and entertainment. The fantastic lounge bar with sunset views reflects the hotel's tranquil and sociable atmosphere, there are four restaurants serving gourmet cuisine and an incredible spa on a separate island that completes this utopia for those seeking relaxation and a great getaway near Velana Int. Airport, Male . 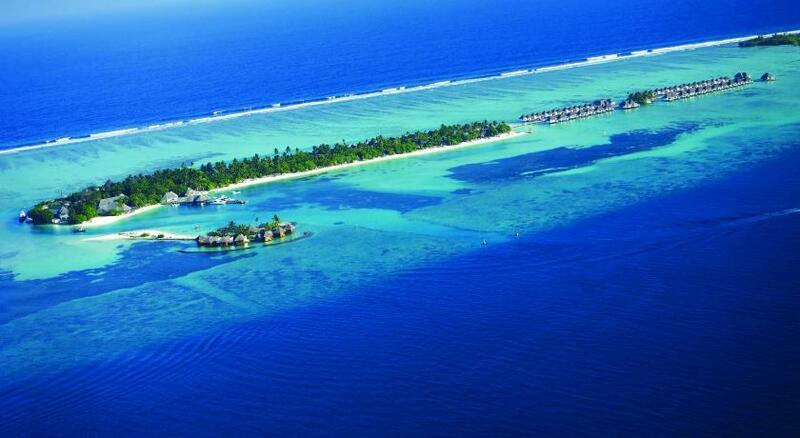 The Resort is a 25-minute speedboat ride from Malé International Airport. Guests are greeted by Four Seasons representatives and escorted to a waiting speedboat, which is the only way to arrive at the Resort. All the architectural touches of this charming Maldivian village were created by local craftsmens, using local materials and techniques handed down over the centuries. 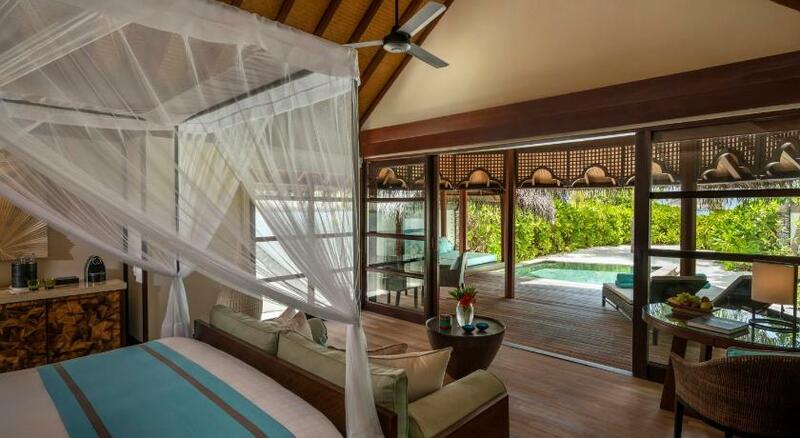 Maldives masters created in Four Seasons Resort at Kuda Huraa 96 beautiful pavilions with thatched roofs, beach bungalows and suites. Tropical-style apartments are generously furnished with modern furniture and feature five-star comfort in a rustic style with white stone walls and wooden bars. All rooms, bungalows and suites have single or double beds, comfortable pillows, hairdryer, lighted mirrors, wifi, satellite TV, CD and DVD player, safe, iron and ironing board, tea and coffee, telephone and minibar. Overwater Bungalows are the same modern furniture and color scheme of oatmeal, white, dirty white and brown polished wood, but look through the walls of glass on the lagoon's sparkling perspective. Numbers on one side of the jetty are facing the outside of the atoll to the sunrise, and with some random traffic to the boats for a distance, while the bungalows on the other side facing the sunset. 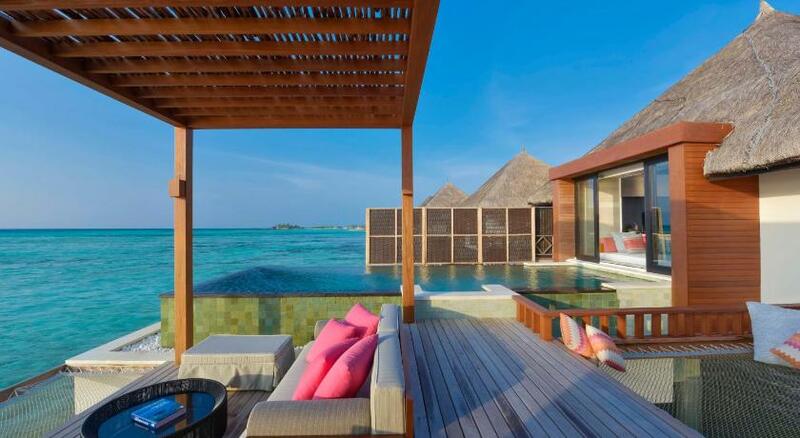 There are 32 Water Bungalows, the 4 1-bedroom Navaranna Waterbungalows and 2 double Navaranna Waterbungalows. Beach pavilions and bungalows are lined along a white sandy beach, while water bungalows stand on stilts in the lagoon. All rooms have a private pool, except for some water bungalows. The signature suites offer one bedroom and two bedrooms. Royal Beach Villa's two-bedroom waterfront apartments offer luxurious accommodation with a private beach, ideal for families and guests requiring extra space. The decks of the water bungalows are absolutely private and everyone has steps down to the lagoon. At low tide, the lagoon is shallow, and during tide the current may be strong enough and is not recommended for swimming. You can also book the sailing accomodation - Four Seasons Explorer, that allows seafarers and nature lovers to explore more remote islands in cruises for three, four and seven nights. The resort itself even has a certain sense of community, because there are small families, large families, young couples and elderly couples come and go around what seems to be a very, very neat village. White sand and white coral walls reflecting the traditional face of the Maldives are illuminated here by rows of local trees, shrubs and flowers, like jasmine, bougainvillea and hibiscus. Here and there you will find an armchair on ropes or a hammock hanging from the trunks. Every night on your pillow you will find a charming anecdote, with jokes about neighboring local islands. Families of all shapes and sizes will find The Four Seasons Kuda Hurra the perfect getaway. We especially recommend this resort for those who travel with young children who will be greeted with baby bathrobes and free toiletries. In restaurants and cafes there is a children's menu, as well as individual kid's menus for toddlers. If you want to spend a romantic evening, you can order a babysitting service for an additional fee. Children of all ages will find something to their liking in the Kuda Mas children's club which is open every day from 9 am to 5 pm with action programs and exciting games on the water and on the beach, creative activities and entertainment. Children under the age of three are invited accompanied by a parent. There are many free family activities, including swimming in the children's pool, tennis, table tennis, catamaran, sailing, coral reef creation, PlayStation 2 gaming consoles, board games and a large selection of films for children. Children under the age of 12 can stay with their parents at no extra charge; and one baby cot for a child can be additionally placed in a bungalow. On the beach there are large family bungalows, with an adjacent studio and a private pool, a garden or perhaps book an adjacent bungalow. There are also two-room suites. Baby cot in some rooms upon request; Water bungalows are not recommended for children under eight years old. Feast in the Four Seasons Resort Maldives at Kuda Huraa can be in five restaurants and bars located in a magnificent natural setting. 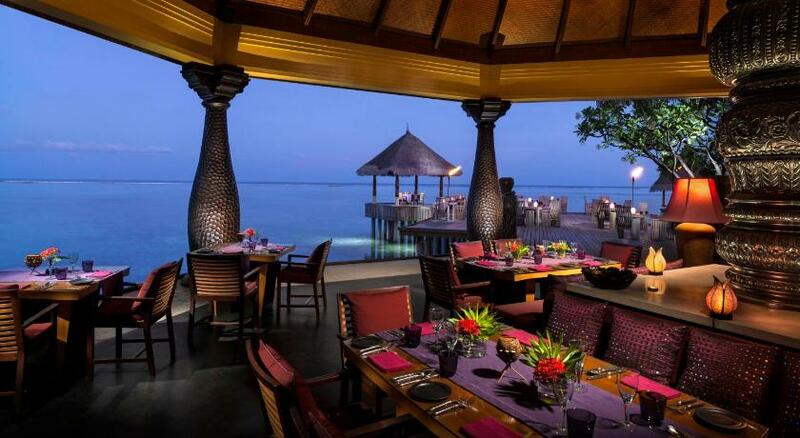 Restaurants are located in different parts of the island, including a place next to a large beautiful swimming pool, the first infinity in the Maldives, where most of the guests prefer to dine. Café Huraa: here you will find buffet breakfast and dinner in the style. A sumptuous breakfast offers something for every taste - fresh tropical fruits and juices, freshly baked homemade bread, grilled meat and vegetables, vegetarian options and much more. The cuisine is mostly featured by Asian flavors with rare thematic evenings of international fare, including French specialties. For dinner, we recommend Kandu Grill, where on the menu the best seafood of the Indian Ocean and meat dishes, or the Baraabaru restaurant with Indian fine cuisine in a chic setting inside room or overwater. The most classy restaurant is Reef Club, that is located away from the main area in the southern end near water bungalows. Decor is convincingly Mediterranean and fine cuisine is classic Italian dishes, including pizzas, seafood and grilled meats. This restaurant is also open at lunch time for simple but delicious meals, such as an octopus salad, alla vongole pasta and Pinot Grigio glass. You can eat in the fresh air on the deck, or under the thatched roof of the dining pavilion with a detached bar, an ideal place for evening cocktails. Every evening at 18:30 near Reef Club restaurant, young black-finned reef sharks feed. Located by the pool, Poolside Bar during the day pampers guests with delicious tropical drinks and light snacks. The perfect start for a pleasant evening is the Sunset lounge bar. This is a nice pavilion in the open air next to the reception area and overlooking the pier and spa; with a relaxed atmosphere and a teasing selection of creative cocktails, you will definitely love this place! 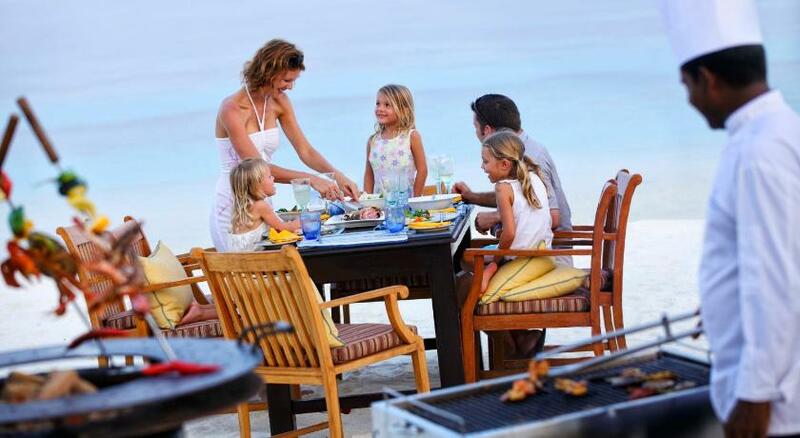 There are also many other wonderful places to eat, including beach picnics and sandbank BBQ. A fine-dining experience within the comfort and convenience of your bungalow, villa or suite. 24 hours a day, choose from extensive menus featuring Western and Asian favourites. Snorkeling has always been a disappointment here, but the remarkable Maldivian innovation of coral structures has put an equally interesting snorkel in the lagoon itself, near the pool and the beach. Guests can visually see various corals at different stages of growth and even sponsor their own coral formations, and give them their names by following the development on the Internet. 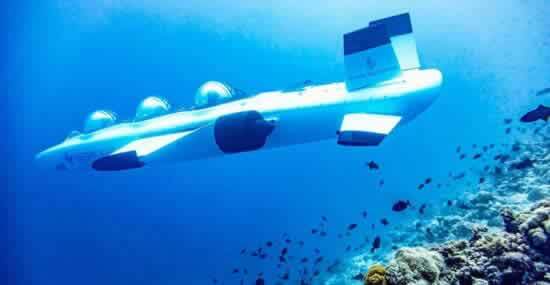 To enrich the experience, guests are entertained by snorkeling excursions with the marine biologist and presentations on topics such as the creation of coral reefs and the history of reef fish. Four Seasons at Kuda Huraa is a luxury surfing hotel, with world-class surf breaks like: Sultans, Jails and Honkeys only 5-10 minutes by boat. Weak waves can be caught next to the island with easy lifts and long skating. A dedicated surf school with professionals from Tropicsurf of Noosa, Australia offers escorted surf sessions and clinics for experienced surfers as well as lessons for beginners. Learn in the pristine lagoon with courses for guests aged six and older, or let loose on six uncrowded quality breaks within a stone’s throw. When you "make" most of some of the most consistent and warm "swell", you can return to Surf Shack for advice, watch the latest Surf videos, or simply share your impressions with the surfers. If surfing is not your thing, there are plenty of water sports available for classes on the island; Non-motorized activities such as kayaking and windsurfing are free of charge. Motorized activities like water skiing and parasailing are available at an additional cost. On the island there is also a fantastic 5-star PADI dive center with fun diving or snorkeling trips to enjoy a vibrant tropical marine life. For the most curious on the island there is a marine center which is an interactive scientific and educational center where you can learn everything about the local and global marine ecosystem - worth a visit. 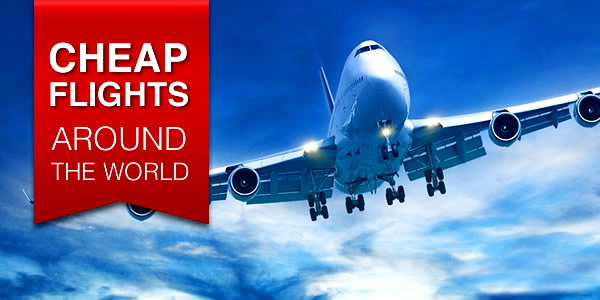 Back to the land, there are many more entertainments. The resort has an state-of-the-art gym, a lots of jogging tracks, yoga classes, cooking lessons, sea lectures, excursions, dolphins watching tours, night fishing, Male shopping trips and a very popular attraction is the Four Seasons Explorer cruise, a private three-deck, 11-cabin catamaran that takes guests island-hopping, stargazing and diving in Four Seasons style. If you are a fan of tennis, the hotel's court is on the next island, a minute by dhoni ride across the lagoon; adventure in itself! Of course there are many ideas to just do nothing and relax. 2 stunning Four Seasons landscaped swimming pools are surrounded by fringed comfortable sun loungers with sapphire horizon views, next to bars with drinks and snacks. If you want to find an interesting or fresh magazine to read at the pool, the hotel has a large library, including a DVD / CD, which also has games, and internet access. The spa begins with a very short dhoni boat trip that metaphorically takes you further away from civilization to another world where something "different" is waiting for you. One of the finest spas in the world, the main line of products is really made into a full moon of purely organic substances, and strongly affects the chakras, etc. You can easily succumb to this or enjoy an incredible massage for your own pleasures. 7 treatment pavilions with thatched roofs are installed over the water, so you can watch the fish through the glass bottom while enjoying the massage: a truly atmospheric place. The menu has innovative Asian treatments, massages and a luxurious manicure, as well as body scrubs. For a truly unique experience, try a night spa - just magical! As you might expect for a Four Seasons resort, the reviews are almost universally glowing, with nearly every one pointing out the excellent service, the spacious rooms, and how the resort itself still feels cosy and private. The only negative for some is the price, which is expected for a 5-star hotel near the top of the price range in the Maldives. 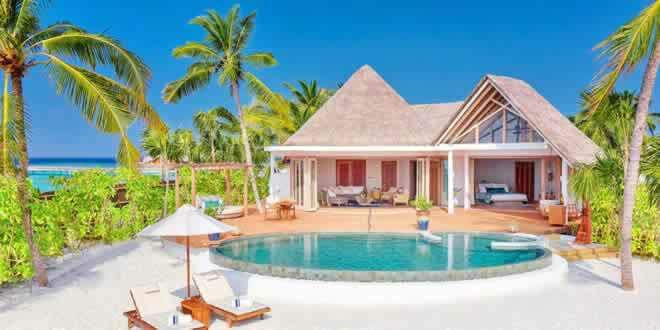 With excellent accommodation and first-class amenities on an idyllic Maldivian island, the resort is ideal for families and couples with a wide range of activities, a children's club and its own surfing school for more active types. Great breakfast, buffet, where you can find anything you like, from the usual omelet and ending with traditional Maldivian cuisine. Excellent food - beyond praise! 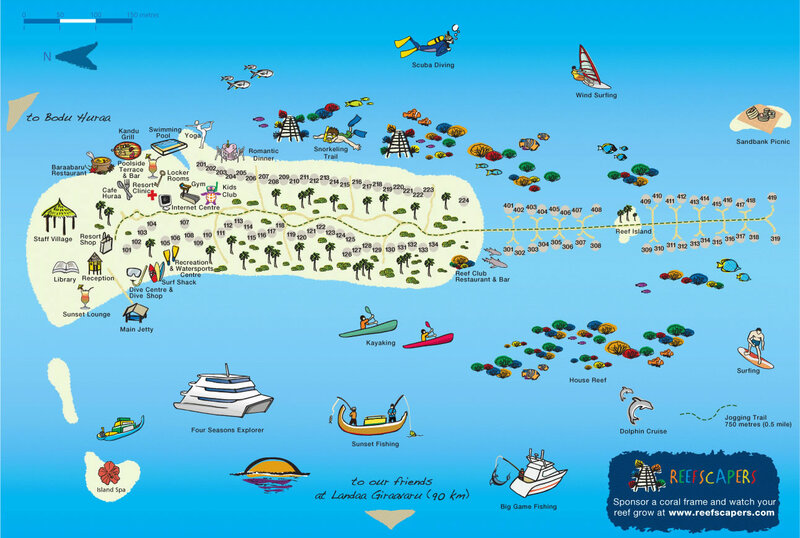 The resort is 25 minutes by boat from Velana airport. The beach on the island's west side (sunset) is better than on the east. Four Seasons Kuda Huraa has its own surf school run by Tropicsurf from Australia. One child under 5 years stays free of charge in an extra bed. One child from 6 to 12 years is charged USD 20 per night and person in an extra bed. Maximum capacity of babycots in a room is 1. Family Beach Bungalows are ideal for families with kids, as they have a small separate bedroom for children. The room rate includes breakfast for only two people. An extra charge for breakfast for an additional / third guest is to be made directly at the resort. From 10pm, "Spa Island" turns into a night spa, and offers a one-of-a-kind lunar outdoor ritual.